‘Quick come and get your ticket. Don’t stop!’ The ticket lady in the beach parking lot shouted. I asked why. ‘There’s an alligator behind you.’ Sure enough two eyeballs were protruding out of the ornamental pond behind us and they were following us everywhere. The giant reptile was all but licking its chops. 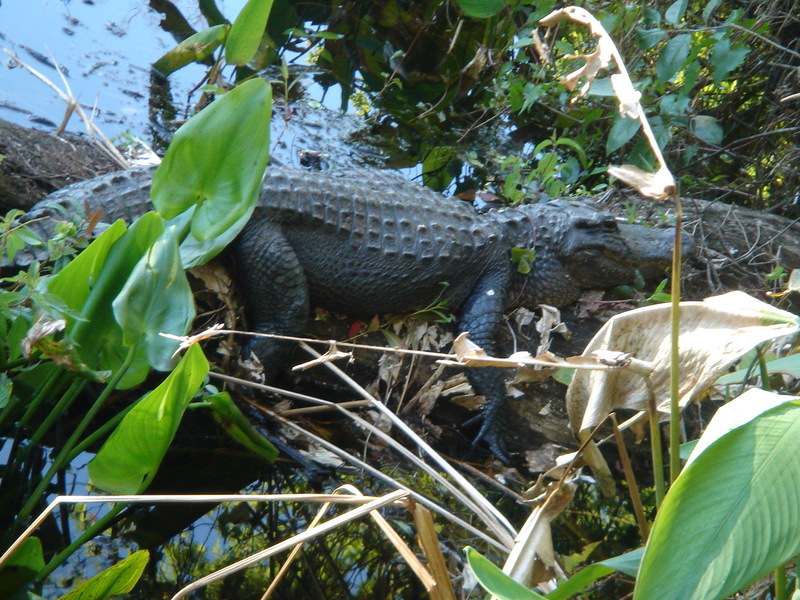 Last week I drove 40 miles roundtrip to see the alligators in Corkscrew Swamp, not expecting there would be any where I was staying near Naples beach in Florida. But there is a reason why the road between Miami and Naples is called Alligator Alley. Naples may look civilized on the surface, but what I love about this place is the raw nature that presses in around the edges. Sitting on the beach I’ve seen snowy egrets, blue herons, swarms of pelicans, ibis and royal terns. Often there are more birds strolling along the sands than humans. Not last week, it was spring break. But still even the local Starbucks was inundated with birds and I was serenaded by a pretty yellow something-or-other.. In the little bed and breakfast where I’ve been staying, all 3 rooms were occupied by travelers who were recently bereaved. At breakfast we shared stories of our departed loved ones and then went our separate ways to enjoy our day.